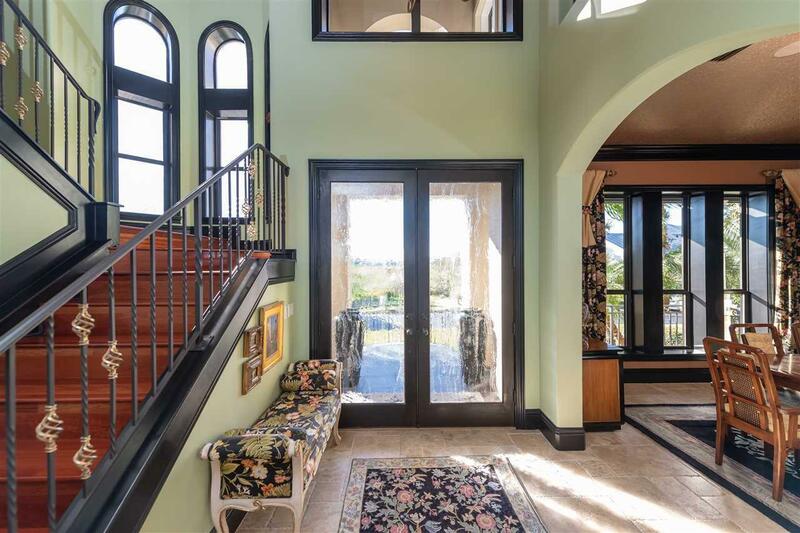 "A stunning location" and "absolutely impeccable interior" are just a few ways some have come to describe this amazing custom home in Lands End of Camachee Island! 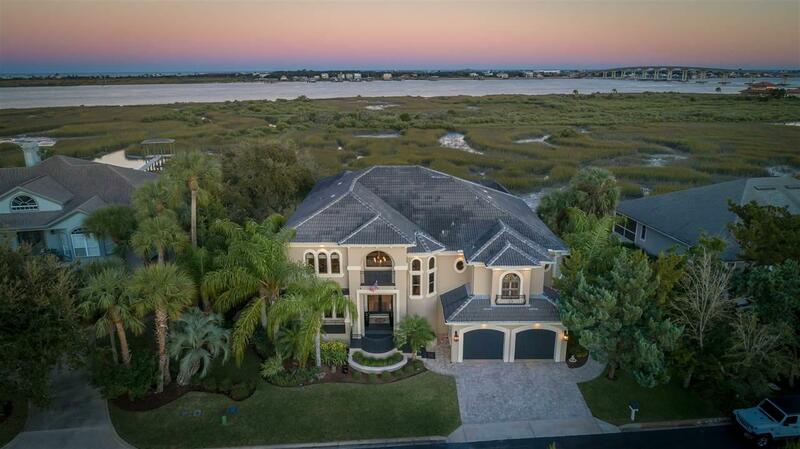 With gorgeous long-range intracoastal views from almost every room, this home is sure to impress any and all visitors to the property. 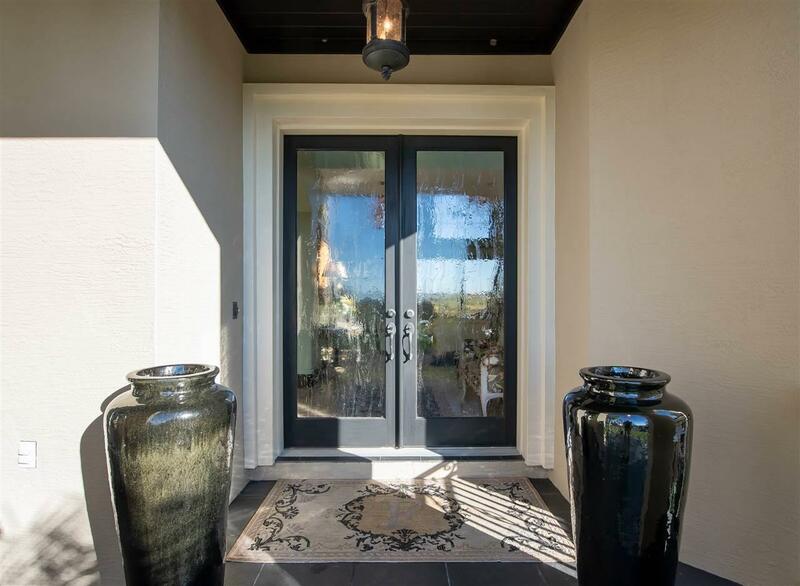 The interior offers 4 beds / 5 full baths with over 3800sqft, and has been completely remodeled to the highest standards while being meticulously maintained. Some of the many features of the interior include; Brazilian Cherry and travertine flooring, beautiful soapstone and granite countertops, remodeled kitchen with La Cornue custom French stove and Thermador appliances, remodeled bathrooms, remodeled in-law suite, gorgeous crystal chandeliers, new tank-less gas water heater, elevator availability for all 3 floors, and a Russell surround sound system. (Due to the extensive amount of upgrades and level of quality involved I implore all agents and/or interested parties to please look over the "Upgrades and Recent Renovations" list.) If you've had enough of a good time enjoying the views from inside move outside to soak up some North Florida sunshine in the screened lanai and heated salt pool. Or take a stroll through the perfectly maintained landscaping, fed by an artisan well, and enjoy those evening sea breezes. When the tide is high grab your fishing pole and kayak, launch right off the solid concrete bulkhead, and catch a redfish or trout for the evenings supper at the outdoor kitchen which also features granite counter tops and a Fisher Paykle grill! After dinner grab your favorite cocktail and enjoy beautiful sunsets from the upstairs balcony overlooking the intracoastal and North City. With high elevation, solid block construction, and a new Generac gas generator you are also storm proof.... If you are looking for St. Augustine living at it's absolute finest it will be found here on Lands End Drive!! !